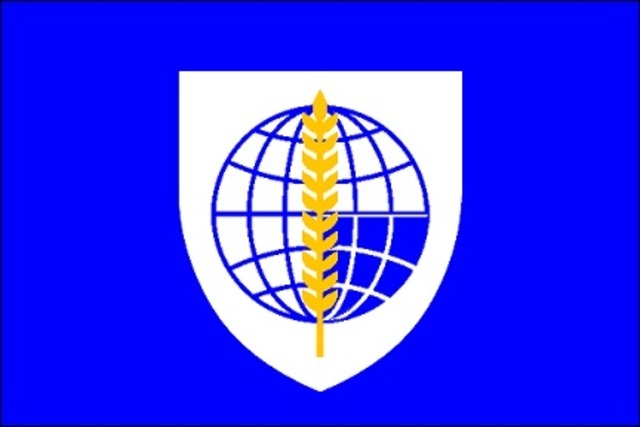 The Australains wanted a NATO style treaty to enhance its security in the region. A support agreement, meaning one would have to come to the others aid if needed. ANZUS stands for the Australia - New Zealand - United States Security Treaty which was signed in September 1951. The treaty is: The parties will consult together whenever, in the opinion of any one of them, the territorial integrity, political independence or security of any of the Parties is threatened in the Pacific. By 1954 the situation in South-East Asia was looking more and more dangerous for Australia. 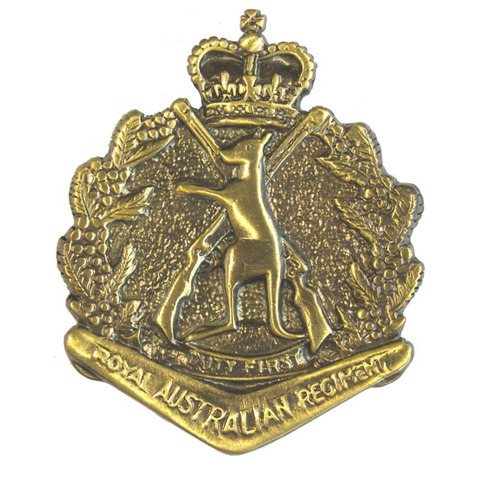 There was an overwhelming fear of the further spread of communism .The Australian government felt it was imperative that they have a proper defensive treaty.A number of other countries felt the same way and the South-East Asia Treaty Organisation (SEATO) was created to deal with the situation. America was part of this treaty although they had certain conditions to have before they signed. 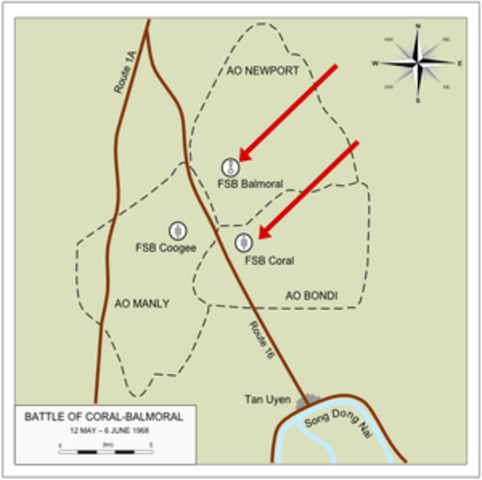 The Battle of Long Tan was fought between the Vietcong and Australian forces. The Vietcong had around 1,500-2,500 troops whilst the Australians only had 108 men (D Company) to defend the village of Long Tan. At around 3:40pm the lead platoon of D company met some resistance from the Vietcong. 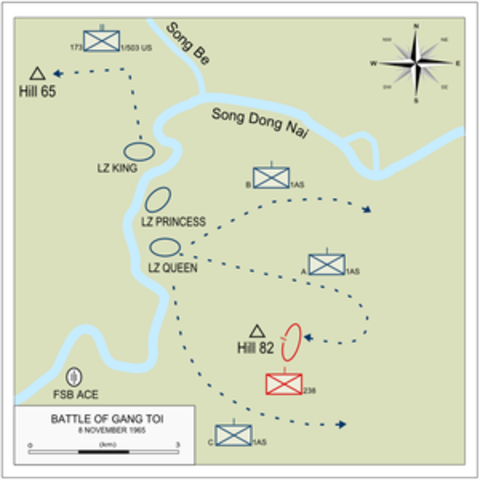 But due to the larger force of D company the smaller Vietcong Squad had to retreat. Then at approximately 4:08pm the bigger part of the Battle of Long Tan ensued. Combat was made harder due to monsoon rain. 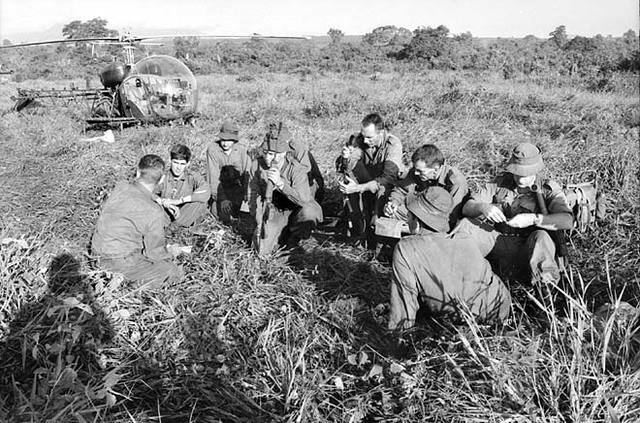 The Battle of Binh Ba (6–8 June 1969), also known as Operation Hammer, was a hard fought, but one-sided, battle during the Vietnam War. 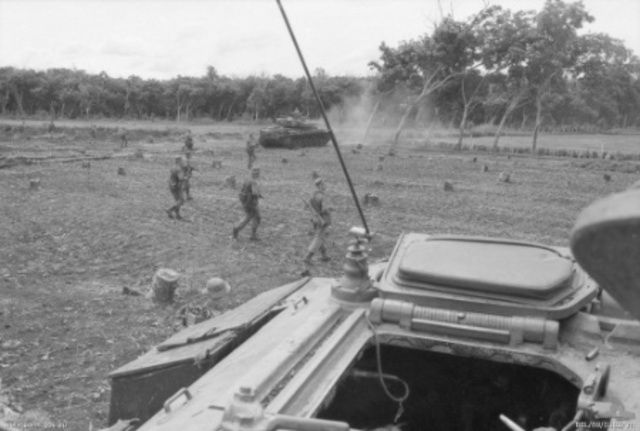 The action occurred when Australian Army troops from the 5th Battalion, Royal Australian Regiment fought a combined communist force of North Vietnamese Army and Viet Cong, including a company from the 33 NVA Regiment and elements of the Viet Cong D440 Provincial Mobile Battalion, in the village of Binh Ba.